With abstract art I can create in the moment. No preconceived ideas. I just put some color on the canvas and keep going. Hanging around the boatyard last year while we were getting Windsong II ready to launch, I practised “fresh seeing” — or seeing in a new way, as I’ve been striving to do. 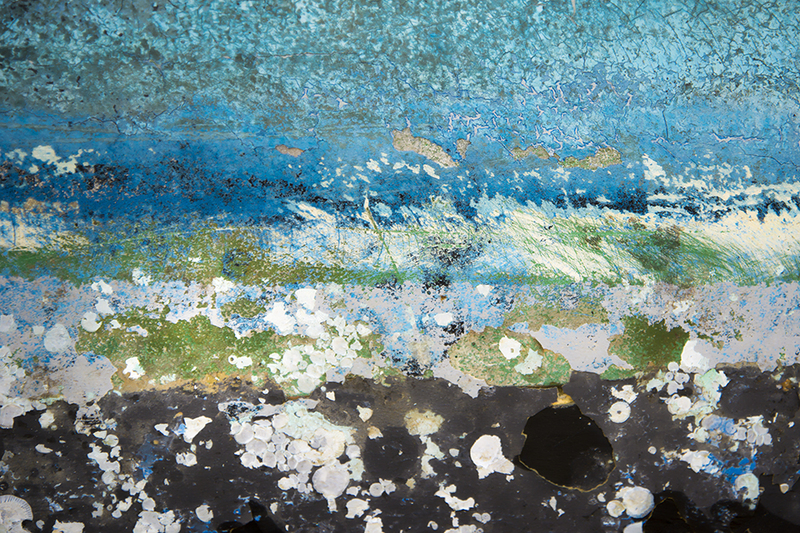 I started to look more carefully at what I had ignored before — the peeling, chipping paint and barnacles on the old boat hulls and noticed a wealth of detail that I had overlooked before. Most people ooh and aah over boats when they are shiny and clean and pristine. But I was captivated by the imperfections — the marks left by time and use and history. The colour and lines and shapes spoke to me as art. 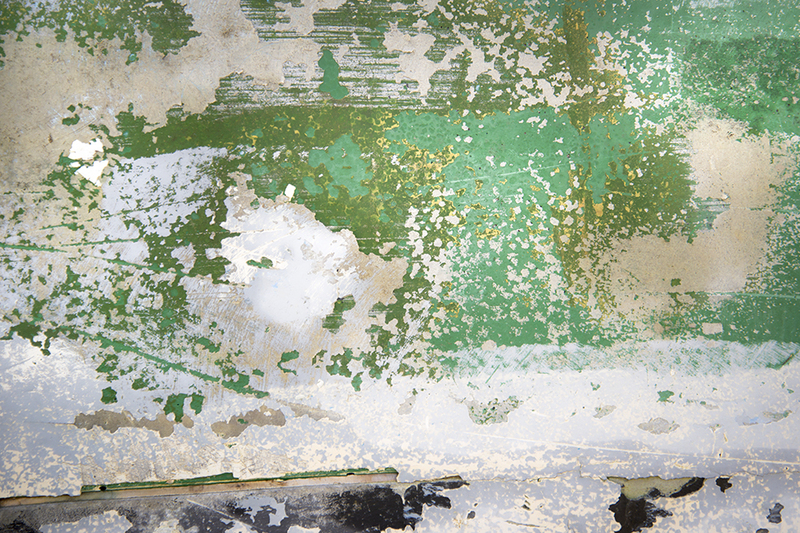 I imagined that an abstract artist had paid a visit to the boatyard and left her mark — the hulls being her canvas. I made several photographs of pieces of these beautiful hulls, and even framed and mounted one I loved for my dining room. 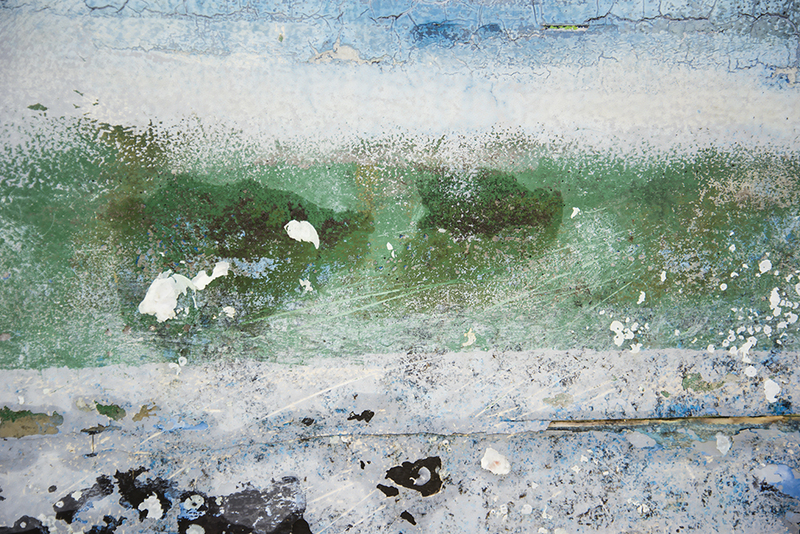 What is it that draws me to abstracts — both in art and photography? “No preconceived ideas” sums it up nicely. Freedom. There is nothing that I have to think of them based on what they are supposed to represent — I am free to respond and feel whatever comes up. They may or may not remind me of anything familiar — mostly not. I don’t have to rationalize or explain. I just am in the moment with them. So this year I was eager to return to the same boatyard this year and see what was new. I wasn’t disappointed.